[dropcap]W[/dropcap]e are approaching the end of Spring and about to welcome the season of sunny beach days and barbecues. 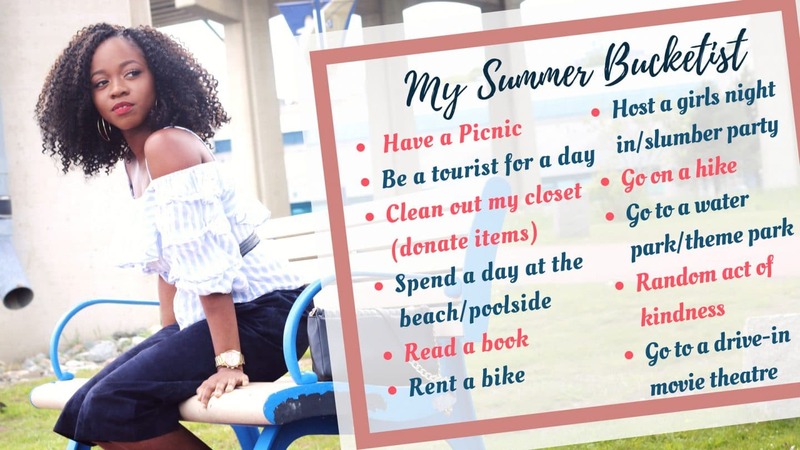 If you know me, you know I love a challenge and live by to-do lists so I came up with a bucket list of random activities that I’d love to do before the end of summer. 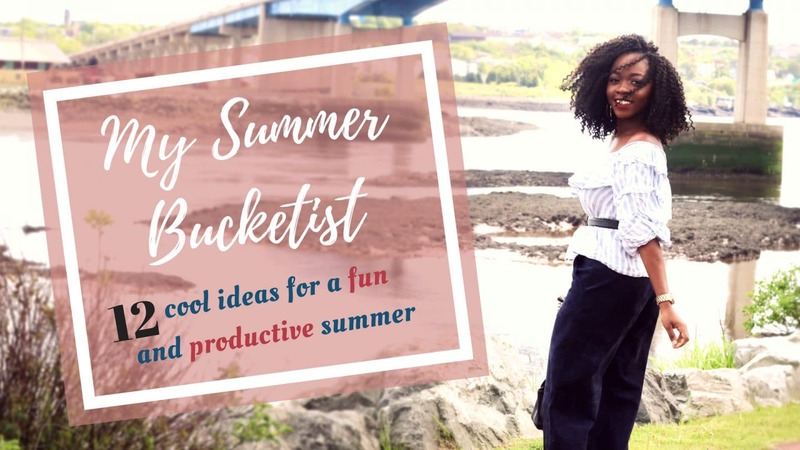 If you are in favor of having a fun, relaxing and productive summer, consider making this your summer bucketlist as well. If you complete an activity on the list make sure to post a photo and hashtag #explorewithola or #summer18 on Instagram or Twitter as I would loooove to see how your summer is going! Be a tourist for a day. Go on the city tour bus and plan a day of visits to local tourist attractions, museum, art galleries, and lunch on the boardwalk. Clean out my closet. I need to get into the minimalist lifestyle. It’s always great to declutter and even donate some items to charity. Spend a day at the beach/poolside. Doing absolutely nothing lol . Host a girls night in/slumber party. Nothing like a night with your girlfriends with fun games and unlimited dessert and drinks. Rent a bike and ride around a park or in the city if I’m feeling brave (because I haven’t ridden a bicycle since I was a teenager). Go on a hike. A cool way to get active with friends and enjoy nature. Go to a water park/theme park. Because rollercoasters are bae – that is all. Go to a drive-in movie theatre. There’s something romantic about watching a movie under the dark blue skies and from the comfort of your car . Do you plan to do any of these? Let me know what you think in the comments! Previous Post LIFE UPDATE – What’s been going on with me?